In terms of quick and reliable summer home improvements, nothing beats an old fashion power clean. This inexpensive service can help to spruce up the dirtiest of homes by effectively removing built-up dirt, sediment and other debris while eliminating things like mold, mildew and algae, which can result in long-term wear and tear on a home. 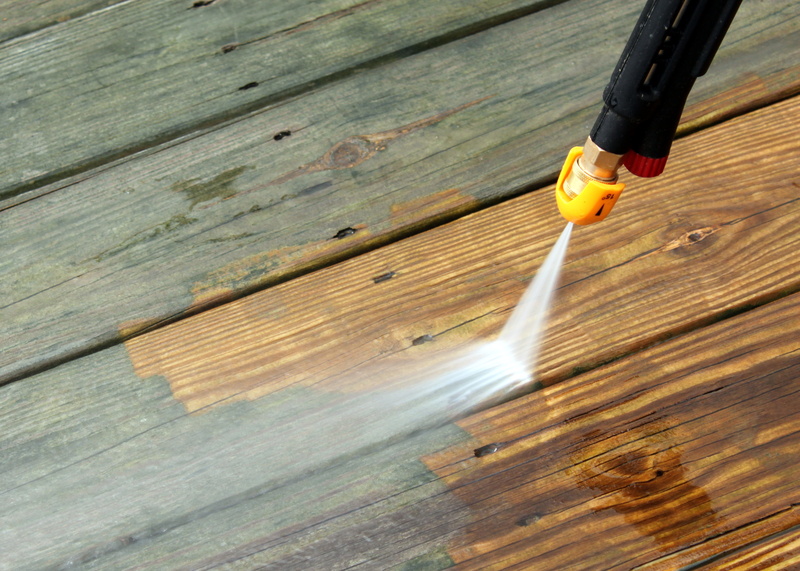 There are two ways for homeowners to pressure wash their home: hire a professional or do it themselves. Generally speaking, most pressure washers cost around $50-$100 per day to rent. While the costs are low, pressure washing a home requires some degree of skill and experience to ensure the home isn’t damaged. Ensure great quality and fast service by, hiring Simply Sold Trust us, it’s worth the added costs to ensure the job is done right. Probably one of the most beloved aspects of a home during the hot summer months — aside from the air conditioner — is a swimming pool. This cool and refreshing asset is the centerpiece of backyard fun in the sun. That said, summer’s arrival means the pool will need to be properly cleaned and treated. Check out our friends at Blue Science Pools for great, local services. A clean, sparkling blue pool is a necessity during the summertime. Keeping it maintained throughout the year will help to eliminate the long-term costs associated with pool maintenance, including unexpected repairs. Gorgeous landscaping continues to be at the top of every summer home improvement list, and is one of the biggest home improvements that add value to a property. As the first impression for visitors and potential buyers alike, curb appeal makes up a central part of a home’s character; it reflects not only the quality of the home, but the neighborhood it resides in. In addition, good landscaping can add approximately 28 percent to the overall value of a home. Surprisingly, it’s also one of the least expensive projects to undertake. From having a simple lawn with a few flower beds to an elaborate courtyard with all the bells and whistles, the costs of landscaping and its beautification process can differ dramatically in price. The most common approach, especially for newer homeowners, is installing landscape. Set up a free walk though with a Simply Sold project manager. Your project manager will come visit your property to create a cohesive landscaping plan with you. Looking for summer home improvements that can save you money while increasing the value of your home? Installing a programmable thermostat is one of the easiest and most efficient ways to do so. These devices allow homeowners to customize their temperature profile throughout the day, which can lead to smalls savings on a monthly basis that add up. According to Energy Star, programmable thermostats have the ability to save homeowners, on average, $180 in heating and cooling costs per year. Another option is installing a smart thermostat such as Nest. These Wi-Fi-enabled thermostats, which are controlled by a homeowner’s smartphone, have been proven to save 10-12 percent on heating costs, and 15 percent on cooling. In terms of pricing, the cost of the thermostat including installation will cost anywhere from $99-$250 per device on average. Turn down the Texas heat. Give us a call today to set up your new thermostat. For homeowners looking to take energy efficiency to the next level, whole house fans are the way to go. This cooling system, which works in unison with ceiling fans and other circulating fans, pulls air in from openings within the house and then removes it by exhausting it through the attic and roof — helping to provide homeowners with comfort during hot summer months. Although the installation of a whole house fan doesn’t require an expert, it is definitely recommended. A whole house fan can be noisy and inefficient when improperly installed, so it’s critical for homeowners to call a professional. Generally speaking, the costs of a installing a whole house fan will range depending on several factors. This includes the cost of the fan, the labor and the materials. Homeowners can expect to spend anywhere from $1,000-$1,200 per fan on average. Another popular home improvement trend, especially during the dog days of summer, is investing in new windows. This approach, which is perfect for homes with old, worn out or damaged windows, offers homeowners both energy efficiency and return on investment, including long-term savings from heating and cooling costs. When investing in new windows, the most efficient route is to install dual-pane. This type of window will not only eliminate outside noise, including inefficient air conditioning and heating, but it will make your home look and feel better. The costs will typically range from $600-$5,000 depending on the amount of windows being installed. It’s important to note that while replacing windows won’t require homeowners to obtain a permit, cutting a hole in the wall to perform the job will. Simply Sold cuts out the middle man and requests the permits for you. Leave it up to us, just sit back and get to selecting your new windows. 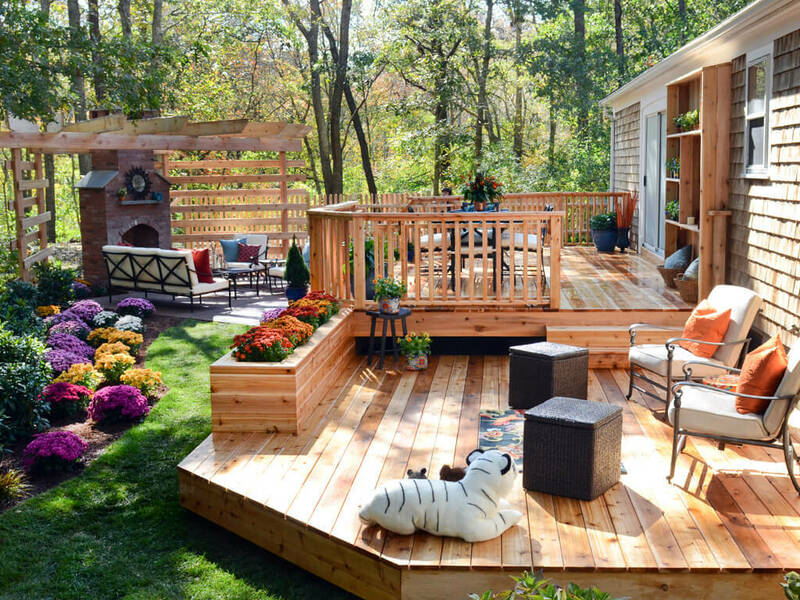 Summer is all about outdoor living spaces and it just wouldn’t be the same without the addition a deck. For homeowners, installing a wood deck will not only increase the value of a home considerably, but it has the potential to pay for itself. According to Remodeling’s Cost VS Value chart, which measures the average cost for home improvement projects that retain their value at resale, homeowners that installed a wooden deck recouped on average nearly 75 percent of the project’s cost when they sold the home. The addition of a deck can cost anywhere from $1,500 to $10,000 depending on the design and materials used. The popularity of wood decks isn’t just for the appearance, but the costs associated with it. Installing a wood deck a home is significantly cheaper than other materials such as steel, and it retains its value very well. Home renovation and improvement projects are all about the beautification process of one’s home, and ensuring its maintenance throughout the year. Done right, these summer projects can add significant value to your home, as well as provide long-term savings in the form of energy efficiencies.